We gather here on this beautiful day, from many different places across Ireland, to celebrate the 100th anniversary of a man who was gifted with so many talents and interests. That man, Thomas Merton was born in France, on January 31, 1915 to Owen Merton, a talented New Zealand artist, and Ruth Jenkins, an American Quaker and artist. Thomas Merton. Picture used with permission of the Merton Legacy Trust. “Events celebrating the Merton centenary will be taking place around the world throughout 2015. A sampling of notable festivities in the United States includes events to be held at Bellarmine University, Columbia University, Pittsburgh Thomas Merton Center, and Burchfield Penney Art Center in Buffalo, NY, and Nazareth College in Rochester, NY. Celebrations and conferences are being planned in Australia, Brazil, Canada, England, Germany, and Ireland”. Merton’s relatively short life, he died after all in a tragic accident at the age of 53, was one characterised by diversity – he has been, and still is – described variously as a monk, a mystic, a priest, a social activist, a writer, a proponent of non-violence and a poet. In the latter half of his life in particular, he reached out and engaged in ecumenical and inter-faith dialogue. He counted among his friends Anglicans, Baptists, Presbyterians and many more besides, as well as Muslims, Jews and Buddhists – and even Atheists, whom he reached out to in a spirit of humility and a common desire for understanding. Today, Merton reaches out to people who want to understand the contemplative or mystical dimension of life. Ironically, as the monasteries slowly empty, Merton retains his popularity, and in fact this popularity to continues to grow, impacting on people of all faith backgrounds and none. Here in Ireland for example, the Merton Fellowship was borne out of a wide-ranging interest in how we apply Merton’s thinking in contemporary society, particularly as it relates to peace-building and contemplation. And so perhaps it is of no surprise that our events have attracted a wide-range of participants from across the denominations – Moravian, Presbyterian, Anglican, Methodist, Catholic and Non-Denominational, and across the faiths – Buddhist and Baha’i as examples. 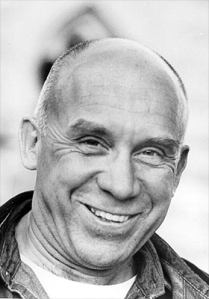 In today’s workshop, we’re going to be doing exactly what the International Thomas Merton Society/Thomas Merton Center suggests in their press release: “The centenary offers an opportunity to consider how we too might set aside easy answers and wrestle with the urgent questions of our day”. The questions of our day are many. But let me suggest to you that there is nothing more urgent, compelling and requiring attention than the issue of meaning. Whether we collectively, and individually, wrestle with questions of ultimate and/or proximate meaning is one of the core questions of our time. When we lack meaning, we lose focus and drive and our humanity is degraded. Merton knew all about meaning. In fact it could be said that the framework around which his own theology and worldview was constructed was rooted in meaning. For him the ultimate was God and the proximate many; he derived proximate meaning from writing, activism, dialogue and contemplation, as well as those deep interpersonal relationships he cultivated throughout his life. Merton has much in common with the second man in our workshop title today – Prof. Viktor Frankl. An extraordinary character, Frankl was a holocaust survivor, psychiatrist, philosopher, neurologist and founder of Logotherapy & Existential Analysis. And although they never met or conversed, Merton and Frankl understood the centrality of meaning; Indeed, Merton was aware of Frankl and recommended to his students (novices at Gethsemani Abbey) that they read him in order to get a better understanding of the subject. There are many points of contact between Merton and Frankl, and I’ll leave it to Stephen to talk about those in more detail. But there are two key issues it seems to me, that merit some thought in the meantime. So both Merton and Frankl are clearly on the same wavelength in this respect. But there’s something else that links the two men in their thinking that perhaps is a bit more unexpected than their understanding of success and meaning. And it’s the issue of love. We could spend the entire day unpacking these statements and exploring them in great detail. But suffice it to say that these points of contact provide us with a vantage point from which we can see the bigger picture; it’s the bigger picture that Stephen, and to a lesser extent myself, will be looking at and guiding us through in the next few hours. And it’s our hope that today will be a starting point for that inner dialogue and that we leave here with much to think about and to apply in our daily lives.